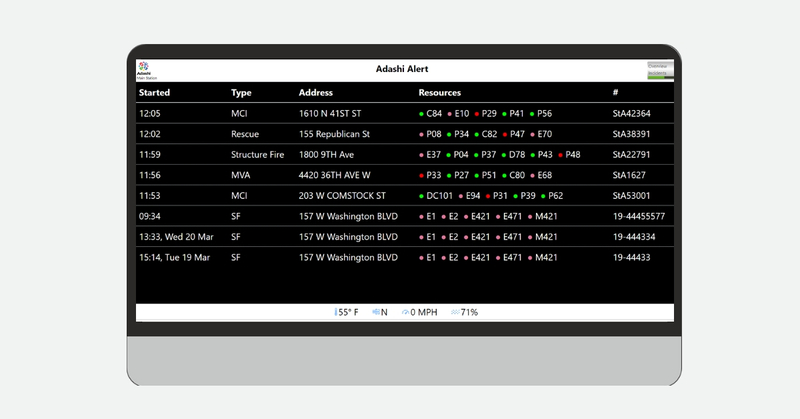 Adashi Alert is a revolutionary way to notify departments of incoming incidents and boost turn out and response times. 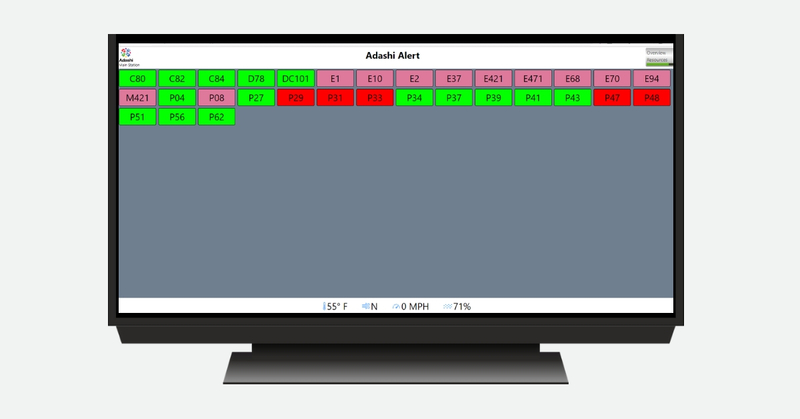 This digital incident dashboard directly connects with computer automated dispatch to notify stations of new incidents and display all active calls. The alerting system is designed to give firefighters access to critical data, improve turn out and response times, and create a common operating picture across the whole agency. 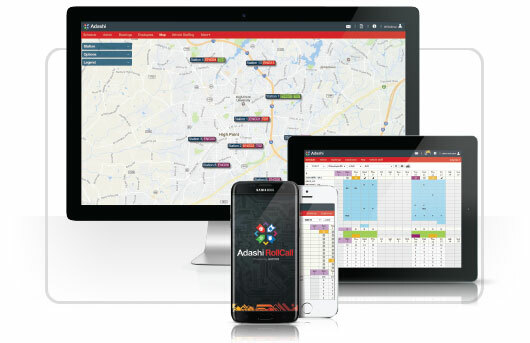 Adashi Alert was created to provide firefighters, company officers, and Chiefs with critical information that is relevant to turn out and response. Our incident notification dashboard can connect with a variety of different data sources including street view maps, weather radar, and more based on your agency’s needs. Contact us at sales@adashi.com with any questions. Learn about incidents in your jurisdiction in real time. The dashboard displays alerts of new calls as soon as they come in so that responders can address emergencies as quickly as possible. Everyone in the fire station is notified when new calls come in and can view important information about ongoing incidents. This increases overall situational awareness and creates cohesion across the entire agency. The turn out timer helps crews get out the door quickly and start responding to calls immediately. This helps departments make turn out more efficient and reduce overall response times. What Devices Does Adashi Alert Run On? Adashi Alert will work on any internet-connected television or computer monitor. Generally, we suggest that agencies use smart TVs mounted on a wall in their station, but the application can be used however best suits your department. While we do not provide the hardware for Adashi Alert, agencies can purchase or use whichever kind of device best meets their needs. See which units and apparatus are currently on duty and actively responding to incidents. View wind and weather radar information in real-time for improved situational awareness. 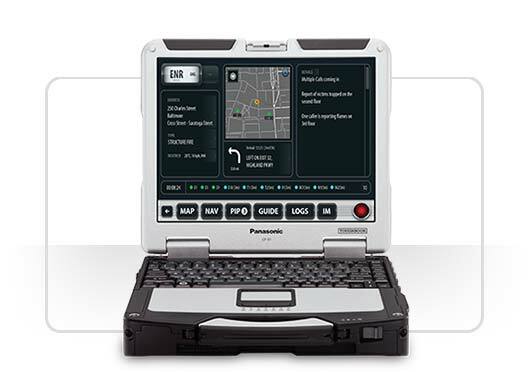 Access critical data from dispatch including the incident type, location, and responding apparatus. Use this screen to get a big-picture view of all active incidents in your region. Ready to See Adashi Alert in Action? 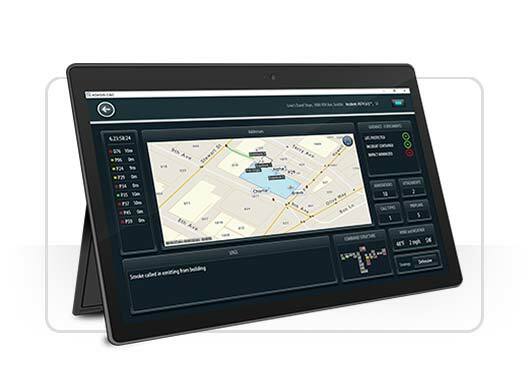 All of Adashi’s public safety solutions seamlessly work together, giving public safety organizations an end-to-end tool. From beginning to end, we keep your information secure and ensure that it’s recorded and transferred to the appropriate system. Use Adashi to make the backend of public safety organized, efficient, and stress-free. Contact us to learn more about how our products connect and what departments gain with the full suite of Adashi products.